"Hey, it's the author!" 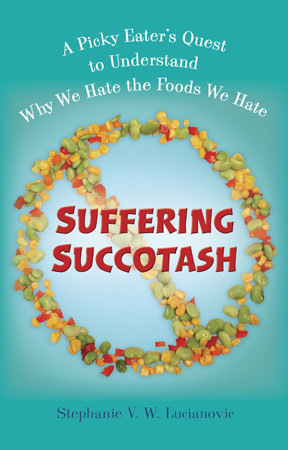 one of my friends greeted me at a party a few days after I turned in the Suffering Succotash manuscript. Is that what I am now? Given how I obsess over finding the right words to precisely express a thought or a feeling, I'm sure it comes as no surprise that I have actually been giving this author thing a lot of thought. When do I stop being a "writer" and transform into an "author"? A lot of things make you a writer -- magazines, newspapers, websites, catalogs, PR copy, etc -- but the only thing that makes you an author is a book. During the years spent developing and writing the book, I have felt strongly that it's not accurate to tell people I'm an author. Even after landing an agent and selling the book to a publisher and signing contracts and getting advance checks, I didn't claim to be an author. 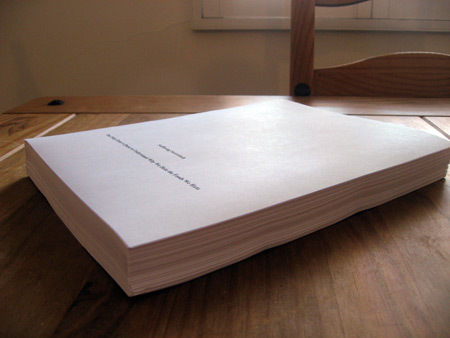 Now the manuscript is in my editor's hands, and we're going through final edits, and yet here I sit, still unconvinced that author is the right word for what I am. In fact, I don't believe I become an author until people can buy the book. I won't be an author when the book is on press. I won't be author when I get an advance shipment of author copies and can reverently cradle a copy in the hands that wrote the book. I will only be an author when I walk into a bookstore and see my book on the shelves, all brilliant blue cover and screaming red text. Okay, but then, THEN I can call myself an author when people ask about my profession, right? Well, maybe. Because I argue that being an author has a half-life. Like, I can call myself an author during the first year of publication, but after that, I must continually churn out books to maintain that title or simply go back to being called a writer. It's not like being Miss America where once you're crowned and crying through your waterproof mascara, you will always be Miss America unless you do something dastardly that gets you stripped of the title, it's more like being a senator. You get to be called Senator during your term in office, but you must seek re-election to hold onto that title. There you have it, I'm not an author yet, but from July 2012 to July 2013, I will be.